From ancient times to the present day, the story of England has been laced with drama, intrigue, courage and passion - a rich and vibrant narrative of heroes and villains, kings and rebels, artists and highwaymen, bishops and scientists. Now, in Great Tales of English History, Robert Lacey captures one hundred of the most pivotal moments: the stories and extraordinary characters who helped shape a nation. This first volume begins in 7150 BC with the life and death of Cheddar Man and ends in 1381with Wat Tyler and the Peasants' Revolt. We meet the Greek navigator Pytheus, whose description of the Celts as prettanike (the 'painted people') yielded the Latin word Britannici. We witness the Roman victory celebrations of AD 43, where a squadron of elephants were paraded through Colchester. And we visit the New Forest, in 1100, and the mysterious shooting of King William Rufus. Packed with insight, humour and fascinating detail, Robert Lacey brings the stories that made England brilliantly to life. From Ethelred the Unready to Richard the Lionheart, the Venerable Bede to the Black Prince, this is, quite simply, history as history should be told. Start reading Great Tales From English History: Cheddar Man to DNA on your Kindle in under a minute. Some history books can flood the reader with details, names, kings and queens, prime ministers and what not, in an attempt to be as comprehensive and unbiased as possible (both ends usually prove to be just beyond the author's capabilities). Alas, the anecdotal, digestible and entertaining side of history then often goes to the wall. So I was more than pleasantly surprised to discover this book which serves as a great complement to all those history books that give you the facts but little else. It adds spice and a considerable amount of colour to some major but often also minor items of history. A great asset is that, although the layout is chronological, you don't have to read it that way. You can dip into it, race from Captain Oates to Blenheim, from Bosworth Field to Dr Crippen, from Caedmon to Dunkirk. It helps of course if you have some knowledge of English history to put some things in their proper perspective, but this is not an absolute prerequisite. Lacey's style of writing is engaging and accessible and he has a knack of telling you in just a few lines where you are and with whom and what's going on, and I found (and find) it very hard to put the book down once I've started reading in it. I have only one, minor, complaint: even with 453 pages (not counting the bibliography, preface, index etc.) I find it a bit short and I reverently ask Mr. Lacey (paraphrasing Oliver Twist): can we have some more please? 5.0 out of 5 starsFull of fascinating facts & theories! This is a brilliant book packed full of so many chapters covering all the subjects you thought you knew from your history lessons at school but giving each one a new spin. This is a "must-have" book for any "bar-stool" historian, anorak or quiz enthusiast. Full of new theories on familiar subjects, every page is an education. It is also a book that may enhance your national pride as it lists many positive accomplishments Britons have achieved through the ages (as well as a few we'd rather forget)! I bought this book as I have always been very interested in, but fairlyignorant of, the history of this great country. The author takes you on a rollercoaster ride through the early history ofEngland, presenting 'snap-shots' of important people and events in small,focused chapters of between three and six pages. This may sound too short,and I can see from other reviews that this is not everyones cup of tea,but I found the length just right. If you are an avid historian or have a great deal of prior knowledge ofEnglish history then this book is probably not for you. If you are seekingvast detail on one particular event in English history then this book isprobably not for you. However, if the history of England is new to you, oryour memory of school history lessons is somewhat clouded, then this bookis a fantastic introduction or re-introduction to the fascinating past ofthis country. The author has stirred my interest in so many different events that I amdetermined to study them in greater depth at a later date. I cannot praisethis book higher than that. This an excellent book. Full of stories of incidents in English history from 7000 BC to discovering DNA in 1953. Each story is about three to five pages and yet in every case is surprisingly informative. They are easy to read, as well. I don't know of any other book that I can compare with this and that makes it all the more valuable. This is an ideal bedside book which you can dip into at will to read a single story or half-a-dozen if you can't get off to sleep. 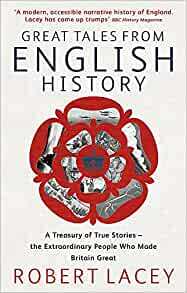 The stories are arranged chronologically and if you remember everything in this book, you will have a considerable general knowledge of English history over nearly ten thousand years. Great value too. This is ok for school children as contains no real information - just anecdotes over a handful of paragraphs. This book is compulsive, accessible reading reading, yet informative. History for people who think they don't like history. 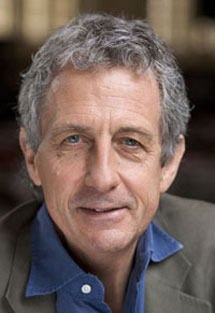 The author manages to maintain a neutral position on contentious matters while writing in a very relaxed, sometimes tongue-in-cheek style. The selection of events is interesting. I'm instantly reading it through a second time (though I'm also too hard-up to keep buying books - which is the type of balancing comment frequently encountered in the book). Scholarly without being boring. Great to read. Very interesting. a bargain.